Training for UP Police 41520 Constable Bharti Selected Candidates will conduct from 29 April, 2019. Training will conduct in two phases. In 1st Phase Training of 23520 Candidates will conduct while in 2nd Phase Training of 23520 Candidates will conduct on 11 November, 2019. 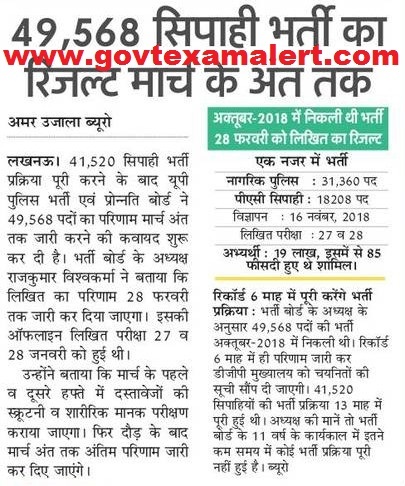 Read full news from Image below…..
UP Police Constable Written Exam Result for 49568 Vacancies has delayed due to lack of space for Training. As per news Result is prepared & Final Result may announce within 15 Days after PET. Read full news from Image below…. UP Police has uploaded Constable Male Female Exam Final Answer keys for Exam held on 27, 28 January 2019. Download UPP Constable Final revised Answer Key 2019 from link given below…. UP Police has released 2nd cut off marks to call candidates for DV/ PST &Race. 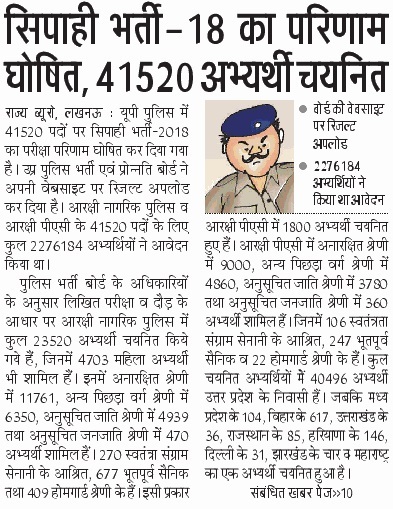 Check Official Cut Off Marks from link given below…UP Police has decided give chance for 5000 Candidates in Race who was left out due to technical problem. 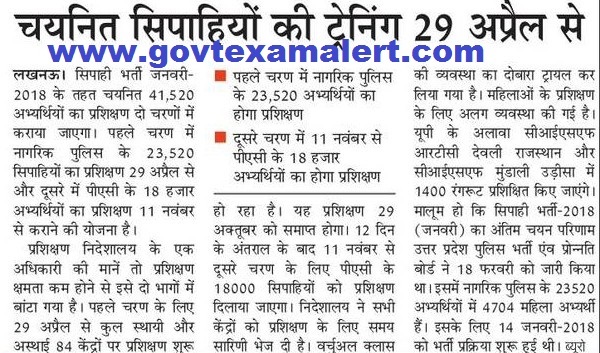 Read full news from image below..
More than 3.83 Lac Candidates has left Constable Written Test. 22,78,184 Candidates has applied for Constable Male, Female Posts but 18,94,766 Candidates appeared in Exam. 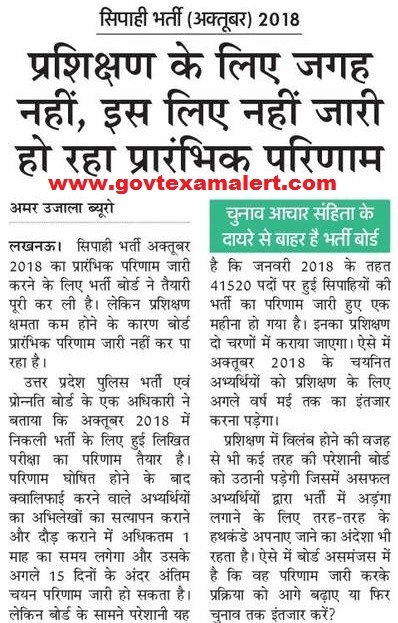 UP Police may announce Constable Bharti 2018 Result in the month of December, 2018. 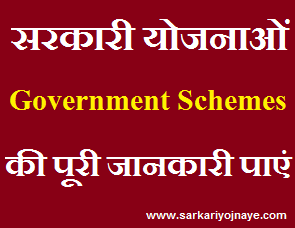 Candidates can read full news from image given below………. UP Police Recruitment Board has invited Online Applications for 41250 Constable Male Female Posts in Year 2018. Selection will be based on Written Exam This Year. UPP has earlier invited Online Applications for 28916 Constable Male Posts & 5800 Constable Female Posts in Year 2015. Earlier Selection was based on Merit List & Race. Candidates were called for Document Verification after Race but this Process has been stopped by newly formed government. UP Police Constable Exam was conducted on 18, 19 June 2018 but due to paper leak Exam of 2nd Shift was re conducted again. UP Police Constable Re Exam conducted on 25, 26 October, 2018. Information regarding UP Police Constable Result 2018 Information is available here. UPP has announced 49568 Vacancies for Constable Male Female Posts. Written Exam was conducted on 27, 28 January 2019. UP Police Constable Exam Result 2019 : UP Police has conducted Constable Exam Physical Test & Document Verification after declaring Merit. UPPBPB will announce the Final Result for Constable Posts soon. Roll No. wise List of Selected Candidates will be available on UP Police Official Website. Candidates have to take regular watch on UPPolice Official Website. At First Visit Official UP Police website (http://uppbpb.gov.in/). On the Home Page you will find Link to Check Constable Examination 2019 Result. On Clicking that Link you will redirect to UPP Constable Result Download Page. A pdf File will be opened. in that pdf file Roll No. wise & category wise UP police constable result will be given. UP Police Constable Aspirants need to have regular watch on UP Police Official website. UP Police Constable Result 2018, Final Merit List updates will available on this Website. Bookmark this Page (CTRL+D) for regular updates.